There are many myths about olives circulating amongst first time growers and enthusiasts as people rush to get into another growing agricultural industry. One of the classic bits of misinformation that inevitably arises is that the “olive tree will grow anywhere and does not need irrigation”. Without pondering all the possible meanings of this statement international experience would say that if you want to develop an economically viable, commercial olive oil plantation you have to irrigate your trees. 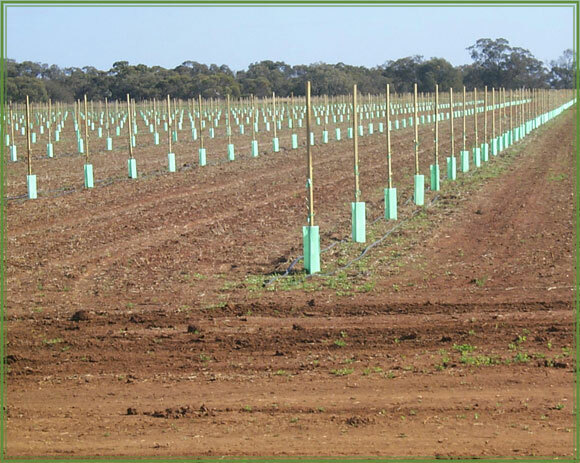 It is also abundantly clear from overseas experience that the investment you make in your irrigation system is probably the most important decision you need to make about your olive development. The reason for this is that the irrigation system is not a “necessary evil” but rather an essential management tool that you will need to properly produce consistent quantity and quality of oil. A review of international research concerning irrigation of olives reveals a wealth of valuable information. Samish and Spigel (1961) found that oil yield increased as a result of irrigation averaging 30% above that of non irrigated fruit. Tombesi et al. (1996) found that irrigated trees bear more fruit per tree and produce more oil per hectare than non irrigated trees. Lavee and Wodner (1991) found that there was a definite relationship between irrigation application and oil accumulation in olives. They also found that irrigation could be used to minimize environmental factors affecting oil production and that well managed irrigation systems could bring fruit uniformly to maximum oil content and hence provide an economical harvest time. It is generally accepted that an irrigation system in the correct climatic zone can effectively be used to control bloom, fruit set and reduce the effect of alternate bearing on oil yield. Table 1 below summarizes the critical stages of growth in the olive tree and points out the effect of low soil moisture levels. 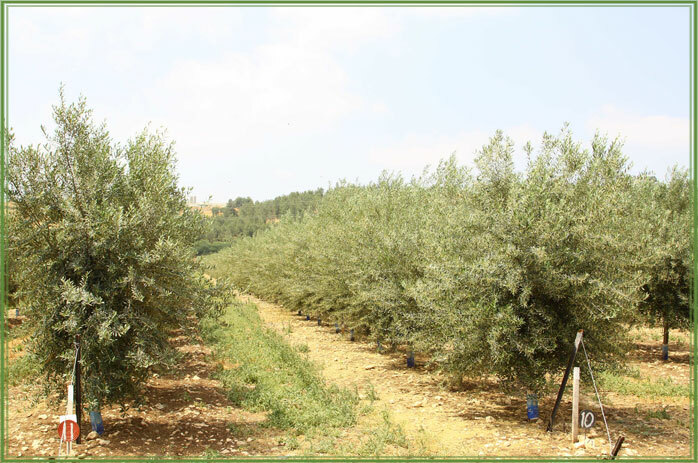 It can be seen from examining this information that the irrigation system is a management tool that can have a large bearing on the successful establishment and management of an olive grove. The olive tree is an alternate bearing tree, which means that one year it has a heavy crop and in the alternate year it bears a lighter crop. The alternate bearing of the olive tree is caused because the heavy crop suppresses shoot growth and exhausts food reserves. This results in reduced flowering and fruit set in the following year (Sibbett 1994). 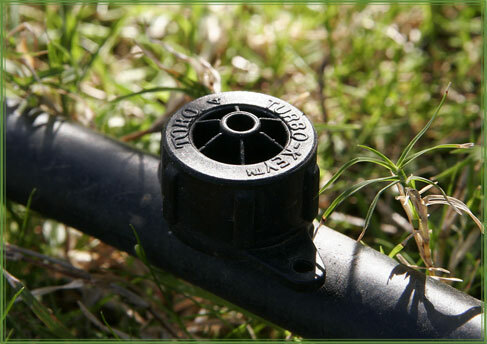 It has been shown that irrigation applications during the year can overcome the effects of alternate bearing. Irrigation applied early in the growing season enhances shoot growth, which in turn increases the number of fruits in the subsequent season (Samish and Spiegel 1961). The oil percentage at corresponding stages of maturity remained that same and therefore the total oil yield was increased because of the greater number of fruits. Research by Tombesi et al. (1996) found that the number of fruits per tree is determined in spring and early summer. It is in this period that irrigation is essential if a high number of fruits with high oil yield is to be achieved in the subsequent season. Early irrigation is advantageous in overcoming the effects of alternate bearing but has little influence on the current season’s fruit. Late irrigation (after the spring flush) can be used to manage the current season’s crop by increasing the fruit size and the flesh stone ratio whilst delaying maturation (Samish and Spiegel 1961). The amount of irrigation required is a function of the environmental and soil factors that are peculiar to individual sites. A summary of the importance of irrigation at various times in the season could be stated as follows. Early irrigation encourages shoot growth, which increases the number of fruits in the second season. Irrigation during the season influences fruit size and the stone flesh ratio. (adapted from Beede and Goldhammer 1994). After reviewing only a small amount of international research it would appear that the need to properly plan and implement irrigation for olive production is quite clear. The quality and performance of the irrigation system will be a major asset in crop management and economically viable production particularly in areas of low to medium summer rainfall. Now that the need for good irrigation practices has been established it is important to overview the options for irrigation systems and the individual components that make a system functional. When discussing irrigation in this context we will confine the discussion to the area of “Micro” irrigation or irrigation using micro sprinklers and drippers. The use of flood irrigation, traveling irrigates and the like are not considered to be viable irrigation techniques. The main reason for limiting the discussion to micro irrigation is that the water resources are extremely limited and it is widely accepted that water availability will continue to decrease and the cost of the water will continue to increase. Micro irrigation is the most efficient and ergonomically advantageous to the olive grower, hence the focus of this paper. The following is a brief description and comment about the most common major components that are found in an irrigation system. The list is not exhaustive and there may be some other items that may specifically suit a particular site and application. 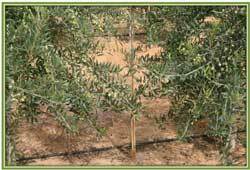 Inline drip irrigation is by far the most popular form of irrigation in olive groves around the world. 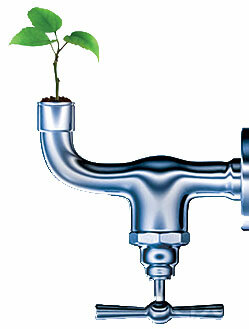 With the modern technology available today drip irrigation offers efficient trouble free irrigation. The factory extruded drip lines are available in various spacings and flow-rates to suit the requirements of individual plantings. Netafim is able to supply you with high quality, clogging resistant and reliable drip irrigation equipment. The technology is available for the olive industry and it offers trouble free operation that is required to make irrigation a tool for management, not a source of headaches. 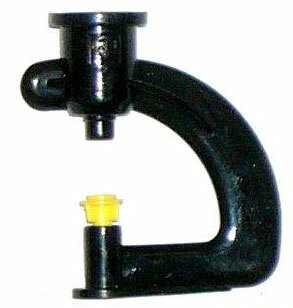 The drippers have gone through many changes since the early days and the improvements and R&D are ongoing. Have an understanding of the type and variation of soil on your property so that correct irrigation can be designed and varietal allocation can be made. Take a water sample in a clean plastic 1 liter bottle, fill the bottle to the top, screw the lid on tightly and take it to a laboratory for analysis as soon as possible. Ask the lab to test the pH, and the major ions such as calcium, sodium, chlorine, and also the presence of Iron etc. Iron can be a major problem contributing to blockages, and needs special attention. Contact Netafim’s agricultural department for further advice. Contact professional organizations / individuals or your nearest dealer for further information. There is no need to “re-invent the wheel”, and help is at hand. Ask the people concerned to show a portfolio of successful projects to date, and a proven track record of their performance. Beede, R.H., and Goldhamer, D.A, (1994). Olive Irrigation Management. In ‘Olive Production Manual’ (Eds. Ferguson, L., Sibbett, G.S., and Martin, G.C) University of California, Division of Agriculture and Natural Resources, Oakland, CA. Publications 3353. Lavee, S., and Wodner, M. (1991). Factors affecting the nature of oil accumulation in fruit of olive (Olea Europea L.) cultivars. Journal of Horticultural Science (1991) 66(5): 583-591. Samish, R.M. and Spiegel, P (1961). 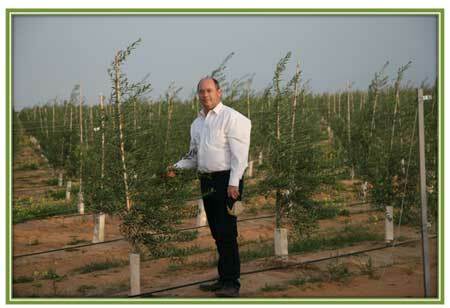 The use of irrigation in growing olives for oil production. Israel Journal of Agric, Research. 11:87-95. Spiegel, P. (1955). The water requirements of the olive tree, critical periods of moisture stress and the effect of irrigation upon the oil content of the fruit. 14th International Horticultural Congress, Netherlands, 2, 1363-72. Tombesi, A., Michelakis, N., and Pastor, M. (1996). Recommendations of the working group on olive farming production techniques and productivity. Olivae 61: 38-51.